Chag Sameach, New Orleans! 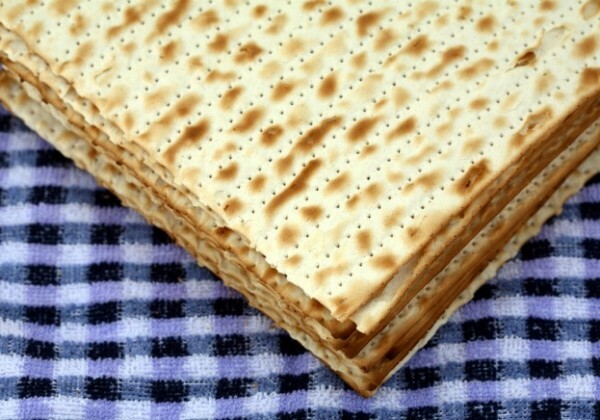 Here's how the community will mark Passover. As always, please confirm details with each congregation and organization. Temple Sinai and JNOLA of the Jewish Federation are combining forces for a free young professionals Passover Seder on Friday, April 19 at 6:00 p.m. This home away from home experience includes a delicious meal after a reading from our not-so-traditional Haggadah, lead by Rabbi Matthew Reimer. And of course, the key ingredient to most Jewish holidays: wine (or juice for those who don’t drink). RSVP is required to tana@jewishnola.com. Once you RSVP, Tana will respond with the address and additional information. Tickets are limited so RSVP today! Questions? Contact Tana Velen at tana@jewishnola.com or Avital Kadosh at avital@templesinaino.org. First Night Seder 7:15 p.m.
Celebration of Faith 6:30 p.m.
Mincha / Maariv 7:00 p.m.
Mincha / Maariv 7:20 p.m.
Reservations are required! Members: Adult $36 pp/Child $20 pp (6-13) | Non-Members: Adult $54 pp/Child $36 pp (6-13) | All Children 5 and under FREETo RSVP, contact the synagogue office at (504) 454-5080 or RSVP@BethIsraelNOLA.com. Kiddush Lunch sponsored by the Jewish Federation of Greater New Orleans 11:30 a.m.
Second Night Seder 6:00 p.m.
First Night Seder 6:00 p.m.
Hol Hamoed Pesach 7:00 a.m.
All are invited to Temple Sinai's annual second night seder on Saturday, April 20! Tickets are $36 for member adults, $40 for non-member adults, $10 for college students, $15 for member children 12 & under, and $18 for non-member children 12 & under. Generous sponsors include Leslie and Dr. Peter Kastl. LGBTQ Interfaith Seder 6:00 p.m. Sponsored by Judge Robin Giarrusso, Billy & Jane Sizeler, Mark Wallfisch and Jeffrey Gregoire, and Federation's JPNola. Kabbalat Shabbat & Mourners Kaddish 6:00 p.m.